In a recent interview, Shailesh Kapoor, founder and CEO of media consultancy Ormax Media said to me, "... the concern with too much content is - too much mediocre content. Earlier we had 100 units of content of which 10 were good. Now we have 1,000 units, but still only 10 are good. Because of so much content, the longtail becomes really weak." Whether one agrees with Shailesh or not, fact is there's more content out there than we know what to do with. India has more than 35 OTT apps, of which 10-15 have huge numbers. 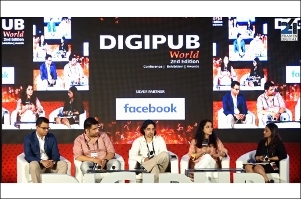 At vdonxt asia 2019, Vanita Kohli-Khandekar, contributing editor, Business Standard, spoke to a few experts about the odd challenge the online video world is both facing and posing - namely, the problem of plenty. Jay Lin, founder and managing director of Taiwan-based Portico Media, a content production/aggregation and channel distribution company, said, "There definitely is an abundance of content. (It's important) to build genres of content that we can then build communities (around)... a sustainable, constantly returning community..."
That's the reason Jay has been focusing on LGBT-themed content, through a specialised OTT service called GagaOOlala, that is designed to cater to audiences from the LGBT community. To help build the community around this online video platform, Jay has also created two specialised digital publications, LalaTai and GagaTai, with articles, videos and YouTube collaborations, specifically targeted at gay and lesbian readers/viewers. About 30-40 per cent of GagaOOlala's traffic comes from these two websites. Disagreeing with the notion of 'too much content', and the related problem of plenty, Nishant Radia, co-founder and CMO, Vidooly, stated, "Maybe there's a lot of similar content doing the rounds. There are many niches that people are searching for and that are not there... there's a lot of scope for creating more content..."
Nishant also spoke about how content creators and video platforms can optimise their content discoverability by using the right keywords, because that's how people search for content - 'search' is the operative word here. 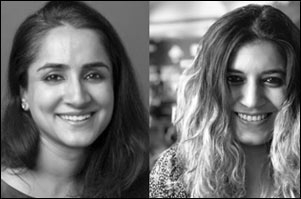 In the OTT space in India, outside of basic tagging and title recommendations, "no one is investing too much in tech; we (platforms) need to invest more in those recommendation engines." Hiren Gada, CEO, Shemaroo Entertainment, who has about 3,500 films and close to 5,000 hours of non-film content in his library, and 90 million monthly active users, said, "It's about identifying what kind of consumer need you're looking at... there's a tremendous amount of programming and curation that happens. You have to build a destination to get interested audiences to come; then, it's an impulse category." While on the subject of content discoverability, session moderator Vanita brought up the roles that technology and AI versus actual "human editing" play in the content recommendation systems that platforms like Netflix and Amazon appear to have in place. The latter would involve really understanding the consumer and her choices at a level that's not shallow. Her question is a pertinent one; in a recent TED interview, event curator Chris Anderson spoke to cognitive psychologist Daniel Kahneman about algorithms that are designed to drive what we see, and choose from, online. "People building algorithms have good intent, they think they're operating for human choice, but that's a naive view... they haven't read you..." said Chris in that conversation. Portico's Jay conceded that there's ample room to perfect the way recommendation engines work today. To him, the solution lies in tracking and understanding each individual user better, something his team uses social media and programmatic marketing for. The implications of this certainly change in the context of AVOD versus SVOD platforms, agreed the panelists. And seeing as how the latter is a no-data sharing zone at the moment, how best can one craft marketing strategies that aid content discovery on these kinds of platforms? We don't know yet. The panel also discussed the role packaging plays in the discoverability of content, something Shemaroo's Hiren thinks is extremely important for "generic platforms" that have a heterogeneous target audience pool. 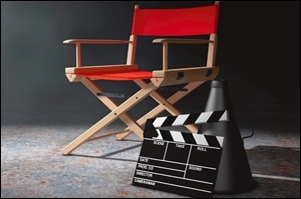 Has the early promise of online video been realised?